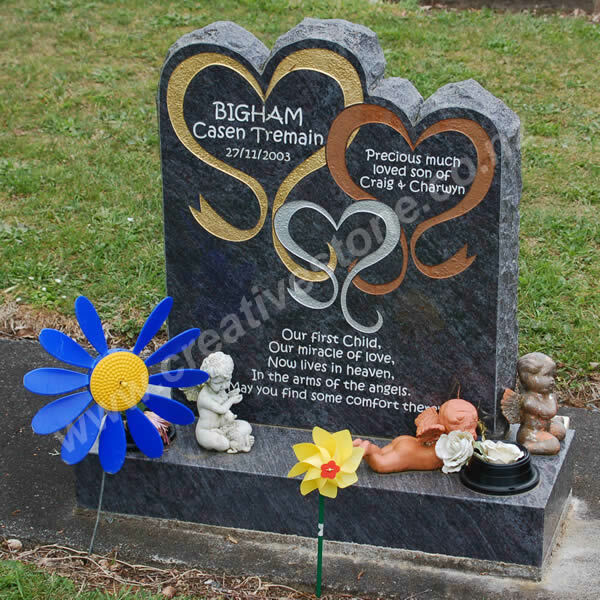 Granite headstones, porcelain plaques, bronze plaques, ceramic photos. Creative Stone undertake all types of memorial work, using the very latest technology, but we are also skilled in the traditional methods of monumental masonry. 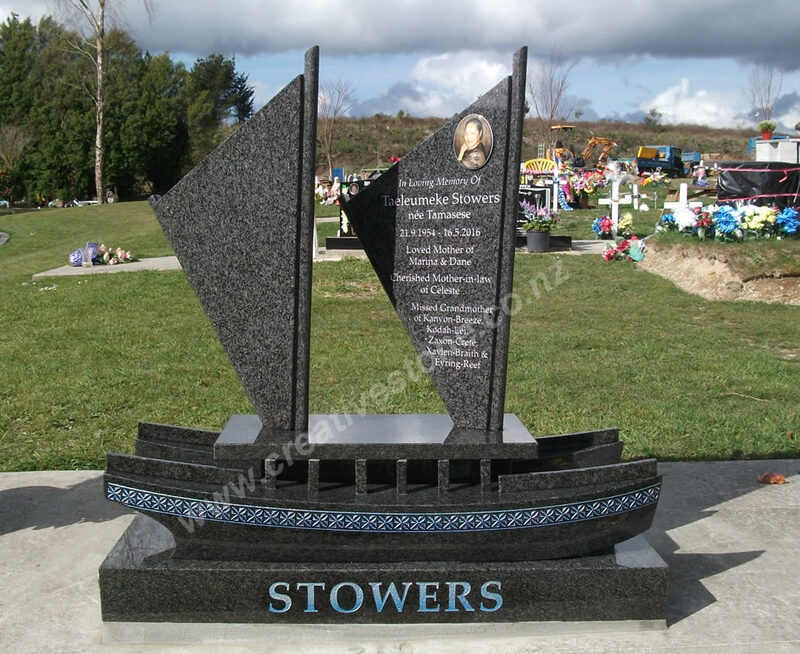 With hundreds of memorials installed throughout the North Island, you can be assured of the highest standard of work, and an in-depth knowledge of all the requirements of cemeteries throughout New Zealand. 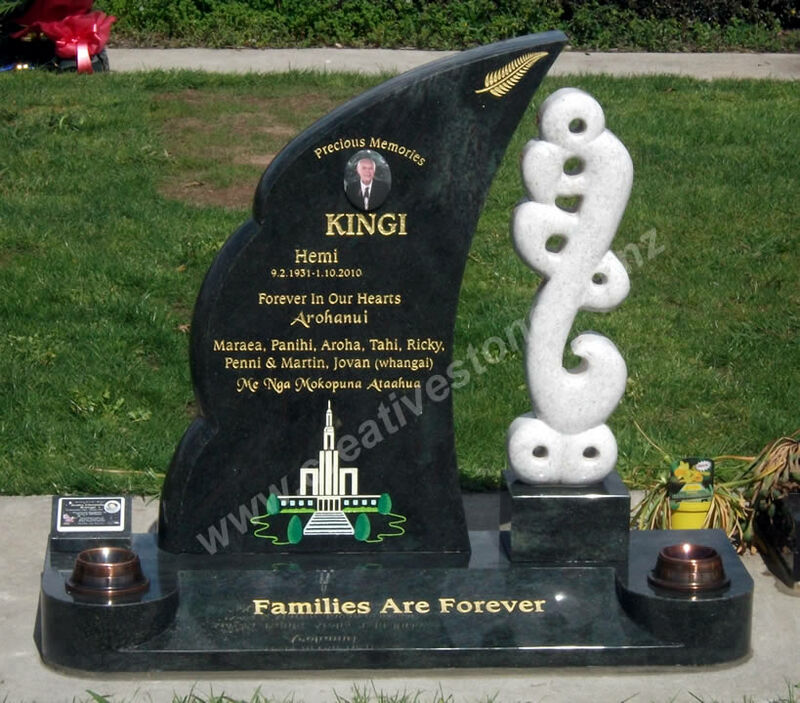 We also export completed memorials and porcelain photos to the Pacific Islands. 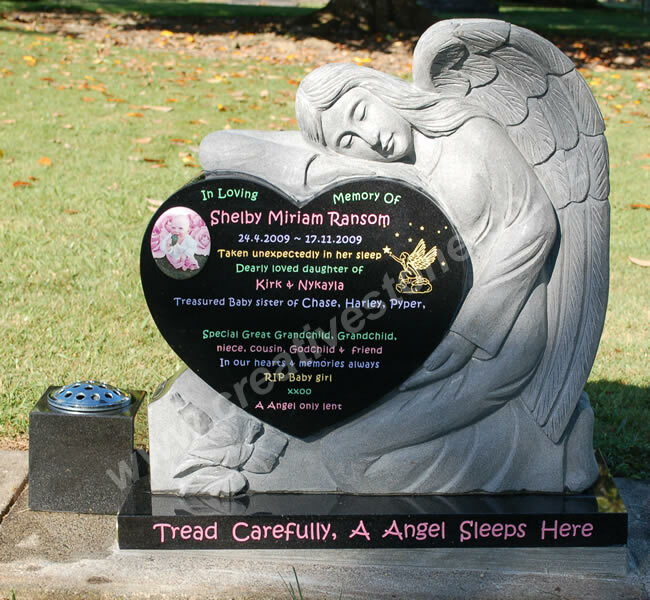 From the smallest plaque to a large memorial, you are only limited by the requirements of the cemetery, your budget and your imagination, as we can provide any type of granite memorial you require, as well as porcelain, bronze or chromed plaques. All work is carried out at our centrally located premises in Hamilton. There is no "middle man", we source our memorial stock directly from overseas factories and our trade qualified monumental mason completes manufacture and installation. 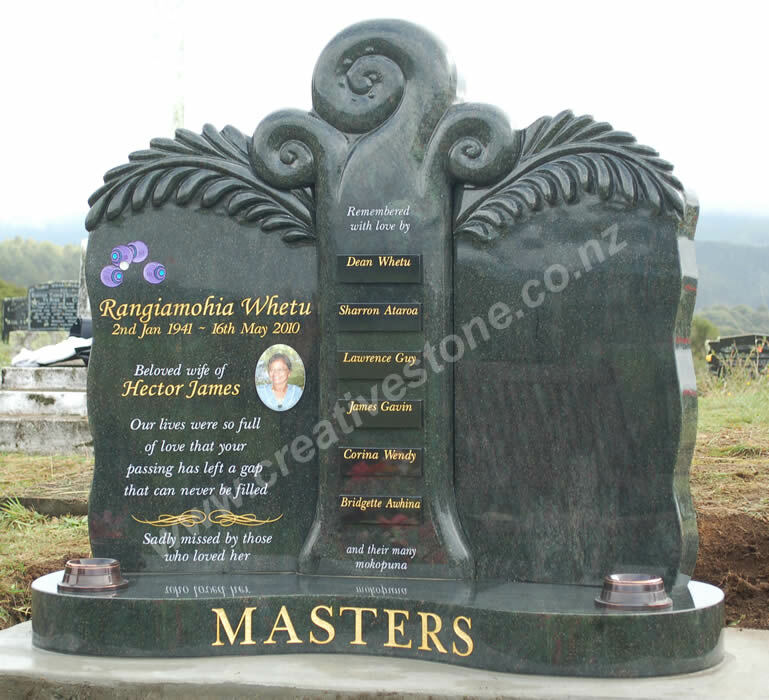 For all your memorial requirements, email us at info@creativestone.co.nz or call on 07 855 2580. For information on memorial restoration click on the Restoration option on the left side menu. 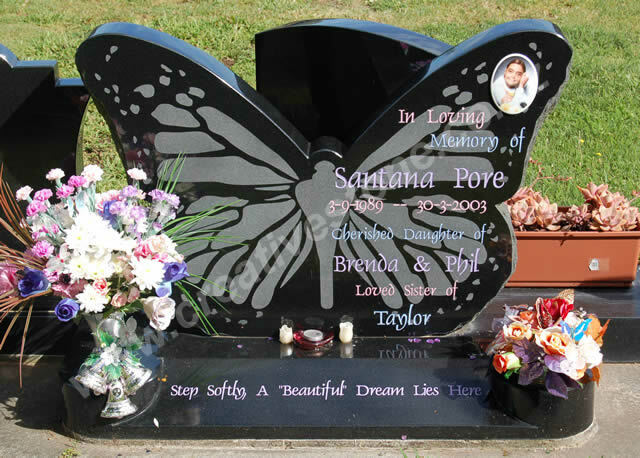 We can restore all types of traditional memorials, from century old sandstone or marble through to contemporary granite memorials. 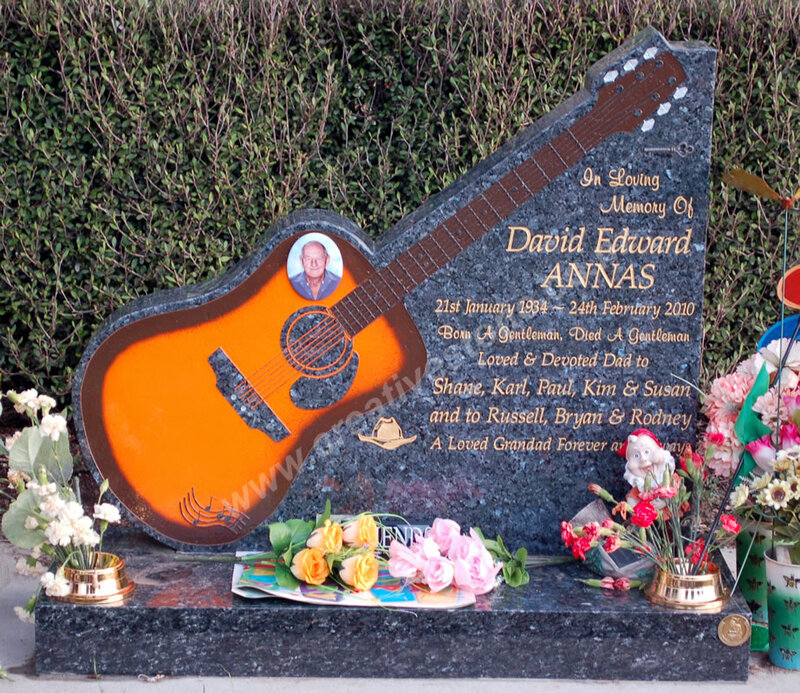 To view a range of the many types of memorial available, from traditional styles to the highly creative, click on our Gallery page.